Carroll Hall Shelby (January 11, 1923 – May 10, 2012) was an American automotive designer, racing driver and entrepreneur. He was best known for his involvement with the AC Cobra and later the Mustang-based performance cars for The Ford Motor Company known as Shelby Mustangs which he had done since 1965. His company, Shelby American Inc., founded in 1962, currently sells modified Ford vehicles, as well as performance parts. Starting out as an amateur, he initially raced a friend’s MG TC. He soon became a driver for the Cad-Allard, Aston Martin and Maserati teams during the 1950s. Driving for Donald Healey, in a streamlined and supercharged, specially-modified, Austin-Healey 100S, he set 16 U.S. and international speed records. Teamed with Roy Salvadori, and driving for Aston Martin, he won the 1959 24 Hours of Le Mans.He drove in the Mount Washington Hill climb Auto Race in a specially prepared Ferrari 375 GP roadster, to a record run of 10:21.8 seconds on his way to victory in 1956. He was Sports Illustrated’s driver of the year in 1956 and 1957.He competed in Formula One from 1958 to 1959, participating in a total of eight World Championship races and several non-championship races. The highlight of his race driving career came in 1959, when he co-drove an Aston-Martin DBR1 (with Englishman Roy Salvadori) to victory in the 24 Hours of Le Mans. During this race he noted the performance of an English GT car built by AC Cars, known as the Bristol. Three years later, the AC Bristol would become the basis for the AC Cobra. After retiring from driving in October 1959 for health reasons, he opened a high-performance driving school and the Shelby-American company. Shelby continued on to be influential with Ford manufactured cars, including the Daytona Coupe, GT40, the Mustang-based Shelby GT350 and Shelby GT500. 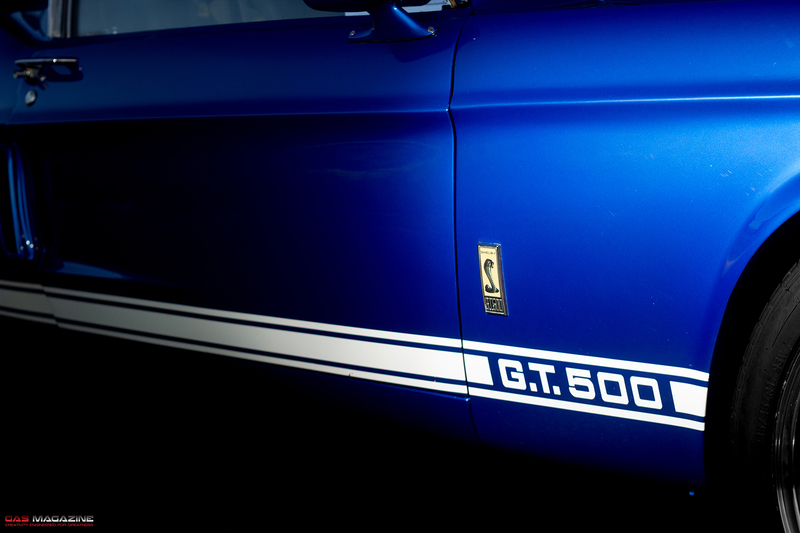 Shelby created the Shelby Gt500 in 1967. Marketed to be the more civil version from its rawly powered brothers (the 66 / 67) models. It was offered alongside the Gt350 with optional power steering and air conditioning. Powered by a “Police Interceptor” engine at 355BHP the car certainly had the gehonas to stand with its competition as the horsepower was heated up. Made famous by the blockbuster movie Gone in 60 Seconds starring Nicholas Cage. The most notorious Hollywood movie car chase scene to date, the Eleanor is a rugged beast when you put pedal to the metal. When Richard Irwin from Scottsburgh decided to build his GT 500 he had no intention to let it have 1967 technology be a part of it. He wanted something that would stand its ground against any modern machinery, not just on the open roads but every inch to look the part aswell. Richard is no kid on the block when it comes to classic cars. His very first build was a 1956 F100 back in the late 1970s. When Ash Waldorf a good friend of Richards found him a 1967 Fastback in Illinois the car was immediately shipped to SA. The only way to do it right was to firstly strip the car and eradicate all rust. Then start importing all the candy from the USA. The 351 Windsor built in the States by T&L engines was “somewhat altered”. 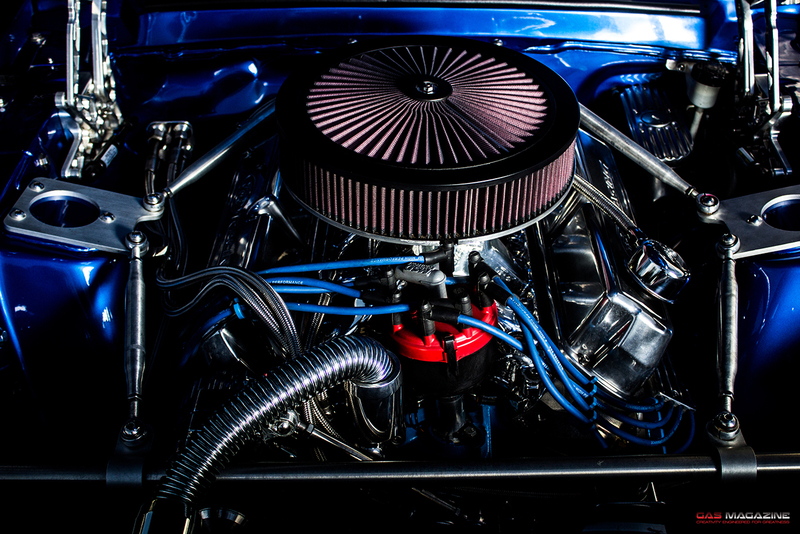 76 additional cubic inches were installed, and assorted other special widgets and sought after thingamabobs stuck on. The whole shooting match was bolted up to a Tremec TKO 600 5-speed ‘box supplied by Keisler Engineering. This transmission is rated for 600 horsepower – good thing too as dyno runs on the finished car have turned numbers solidly into the 500’s. The healthy rumble of the stainless exhaust is enough to give any car-junkie a stirring in the groin. When Richard decides to really get it on, the flick of a switch activates the solenoids opening the bypass tubing that dumps just ahead of the front wheels. Liberated from such civilities as silencers, the spent gases exit with a sound that has a far more immediate effect than popping a Mr Blue! To keep the car running and handling smoothly Richard sourced out a Cobra Mustang IRS from DVS Restorations. Sitting on a quad of 9” American racing cobra rims the car gives off absolute American stance. When the time comes to stand on the middle pedal, juice is sent to the 4-pot Wilwood callipers on 13” discs via an Electro-Boost assisted system. 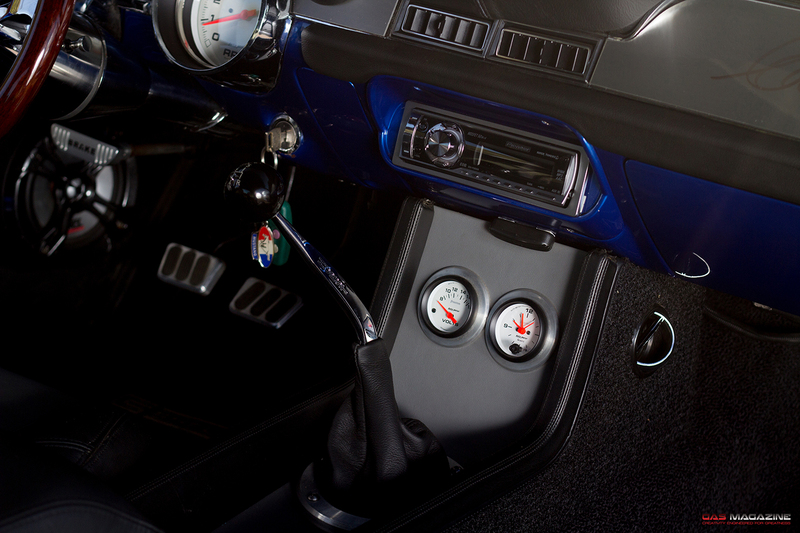 Directional changes are by way of a Flaming River rack and tilt steering column. The cockpit’s atmosphere is further enhanced with Vintage Air air conditioning, Auto Meter gauges and Electric life door and window controls. 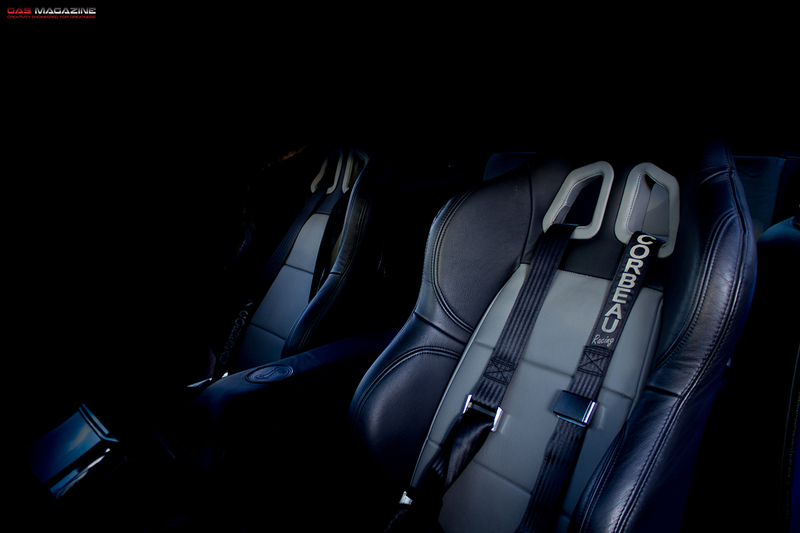 The Corbeau 3-point harnesses and racing seats are from Summit Racing. With all the mechanical bits sought out it was time to give the Eleanor a new skin. This was the job of Dave harden panelbeaters. Shelby created the Shelby Gt500 in 1967. Marketed to be the more civil version from its rawly powered brothers (the 66 / 67) models. It was offered alongside the Gt350 with optional power steering and air conditioning. Powered by a “Police Interceptor” engine at 355BHP the car certainly had the gehonas to stand with its competition as the horsepower heated up.